If you have been injured through the fault of another you have a legal right to make a claim for compensation. Suffering a personal injury can mean that your life is disrupted, it may mean that you have suffered a physical injury or illness but it also might mean that other parts of your life have suffered as consequence. Compensation is provided to help a victim of personal injury rebuild their life back as quick as possible so that they can return to life as it was before the accident happened. People suffer personal injuries as a consequence of the negligence of others and through no fault of their own. Sometimes the injuries that are caused can be mild while other injuries can be very severe, it all depends on how the injury is sustained and the person who unfortunately falls victim to it. Personal injury is an umbrella term and covers many different types of areas where personal injury can be caused. There are sub headings for personal injury claims such as, road traffic accident claim, accident at work, slip, trip- and fall claim etc all which amount to a person being injured through the fault of another. Sustaining any type of injury is no walk in the park but to be injured due to the fact that another person has been careless makes the injury sustained a lot harder to bare. Personal injury can cover victims who have sustained physical injuries, illnesses, psychological illness etc. We are a firm of solicitors who are dedicated to working with those who have suffered personal injury through no fault of their own. We fully appreciate that when a person is injured the last thing they are probably thinking of is pursuing a claim but we take all the hassle out of making any sort of claim. Compensation is there to help those who have suffered a personal injury so that they can get back to life as they knew it before the accident occurred. With the decades of knowledge we have among our solicitors and their ability to succeed in the majority of cases we take on we can offer 99% of all clients who appoint us to represent them in a No Win No Fee agreement. Conditional Fee Agreements or as they are more commonly known No Win No Fee agreements mean what they say, who are covered by such an agreement will not have to pay any monies if the case does not succeed. We offer any potential client the opportunity to have their case heard through a free consultation where they can be given free and confidential advice regarding their case with no obligation to appoint us as your law firm. What can be Claimed for in a Personal Injury Compensation Case? Personal injury is a broad term that covers those who have been injured physically, mentally and have been taken ill by illness or disease which is a direct consequence from the negligence of a third party. Road traffic accidents occur when a vehicle or vehicles (including cyclists) collide and cause a collision on the road. Road traffic accidents do not always mean two vehicles or more have collided, it can be that a single vehicle has collided with a pedestrian, road debris, a tree or any other road side obstacle. Accidents that happen at work can happen for a variety of reasons. Some are due to employers not following health and safety law and procedures correctly. And allowing employees to work in ill fitting settings without the proper work related tools and environment. Accidents that happen at the work place can be very serious and it is vital that employers carry out all health and safety procedures correctly ensuring that their employers are kept safe and out of harm’s way. Such accidents can happen anywhere in public (public liability) or privately owned premises (occupiers liability). Slips can happen due to premises having wet floors without any signs indicating that the floor is wet. Trips often occur due to loose flooring, obstacles in the way that are placed unnecessary. Often a lot of trips happen due to poor maintenance of pavements, where pavements are broken or have lifted and have not been fixed. Pavements are allowed to be slightly damaged and for a person to make a valid public liability claim regarding an uplifted pavement the defect has to measure 1 inch or more as it is accepted that walk ways do experience damage and it would be almost impossible to keep every pavement free from any defects. Falls generally happen due to slips and trips. It is possible for holiday makers to be involved in accidents or become ill while on holiday. Just as injuries can happen here in the UK they can also happen abroad. If you have been on an all-inclusive holiday and have suffered any type of food poisoning or upset stomach, slip, trip or fall or other personal injury then you may be able to claim compensation. A mild case of food poisoning warrants from £690 to £750 compensation amount. A moderate case of food poisoning warrants from £760 to £7,500 compensation amount. A serious case of food poisoning warrants from £7,600 to a maximum of £40,100 compensation amount. Criminal Injury Compensation Authority (CICA) is a government funded board set up so that victims of crime can be compensated for what they have gone through regardless if the culprit has been found or not. As the Judicial Study Board (JSB) sets out bracket amounts for certain personal injury cases so does the Criminal Injury Compensation Authority. Such brackets can be used to figure out where each specific illness or injury should fit in terms of compensation. The authority was set up as even if the perpetrators happened to be arrested and charged they would not have the money or any type of insurance policy to cover them so that victims could be compensated sufficiently. Starting a personal injury claim is easier than most people think. The hardest part is actually deciding to go ahead and make a claim. It is always advised regardless of the personal injury case whether it is considered a straight forward or complicated case that a solicitor is appointed as any good standing solicitor is very familiar with the process of making a claim and will get you the compensation you deserve. We offer any client a service that caters for all their needs to ensure not only that they are happy with how their case is run but so that their case reaches it maximum potential and that the compensation that is awarded is more than sufficient. After selecting a law firm in which to appoint your case you will be required to go through various questions regarding the accident. Personal information will be taken first off, details such as your full name, address, date of birth and so on will be needed. A description of how the accident came about will probably be the next few questions and details of who you feel is responsible will also be taken. It’s important at this stage to give all details of the injury that has been sustained and if any medical attention has been sought. We always say seeking medical attention is important especially to be checked over to ensure no real damage has been done and also so that medical evidence is present for your case. Mentioned above are the main details that have to be taken to start any personal injury claim, these initial questions take about 10 minutes and are often all that is needed to start the case straight away. 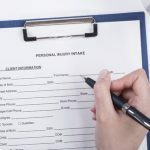 What Can I Claim for in a Personal Injury Case? When dealing with any personal injury case we like to look at it on an individual bases. No two personal injury compensation cases are exactly the same, it is true that some may be similar but there will be differences. Each and every client we deal with we do so on a personal basis, no one is just a number and we ensure that each and every client receive a tailor made service. We offer such a personal service as we believe that those who are victims of personal injury deserve a friendly and familiar service but also so that your case reaches its maximum potential and you are awarded the highest possible compensation amount for your injury. Injuries that are caused through personal injury can range from mild injuries to very severe which can totally affect a person’s quality of life. Compensation payouts will always reflect the amount of pain and suffering a person has suffered and if they are likely to suffer in the future, also how they are affected financially. A person who suffers a mild illness or injury is technically likely to receive less in terms of compensation than a person who is severely injured or has sustained a serious illness would. General Damages – such damages are there to cover the amount of pain and suffering a person has gone through as a result of a personal injury. There is no easy way to measure how much pain and suffering a person has gone through, two people who go through similar accidents may experience the pain differently as people have different pain thresholds. There are governing bodies and boards within the personal injury sector that set out guidelines which help solicitors when it comes to calculating specific amounts for different injuries. The Judicial Study Board (JSB) sets out compensation amount brackets and solicitors can use this to calculate where each client would fit in to after taken into consideration any special damages. It would be near impossible to be able to give every possible injury that could be caused through personal injury a precise amount. Solicitors very often use medical experts to guide their decision on how much pain and suffering compensation value should be added to a claim. Special damages – such damages are given so that any victim of a personal injury case can be compensated financially for any out of pocket expenses that they have experienced. Loss of earnings, loss of any future earnings, promotion, job opportunities etc. Below is a table of injuries that may be sustained through injury and estimated amounts that may be awarded as compensation. *It is important not to take any of the above figures and compensation amounts as fact. The figures are only estimates, and taken from previous cases they do not take in to consideration all types of damages. It is possible for any of the amounts to change at any given time. The amounts should never be taken as fact. The amounts shown are for injuries themselves and special damages that cover the financial incurrence to clients are not covered as they will be different depending on each person. When calculating a personal injury compensation amount two areas are taken in to consideration, both special and general damages. The table of compensation amounts covers the general damages. Probably a very common question a potential personal injury client will always ask is ‘how much compensation will I get?’ and although the question seems straight forward it is in reality difficult to answer. Personal injury compensation amounts are multidimensional; there are several different areas within the term ‘personal injury’ such a road traffic accident or injury at work which in themselves have sub sections. To give an average amount on a person’s personal injury compensation claim is challenging to say the least especially at the initial stages of any compensation claim case. No two cases of personal injury are ever the same; they may appear similar but will no doubt have differences. People have different personal circumstances, different financial positions, pain and suffering is likely to differ from one person to the next. At the beginning of every personal injury compensation case giving a precise amount of compensation is near on impossible however it is possible to give an average estimate of how much compensation might be awarded but future pain and suffering plus future financial expenses may not be able to be included as at this stage as the prognosis is still unknown. A more precise amount can be calculated once the claimant of a personal injury case has been assessed by a medical expert and the doctor has compiled a medical report. The medical expert will be able to give a prognosis and that is when any future pain and suffering plus any financial losses can be calculated. Below is a table that gives compensation amounts to different areas of personal injuries however it is vital that these figures never be taken as fact as they are only speculative amounts, they do not give specific figures and do not take into consideration any personal circumstances and future financial losses and expenses. *Any information in the table is given as a guide and should not be taken as exact. They average personal injury compensation amounts displayed may not take in to consideration any special damages as they are different to each individual, or do they take in to consideration any future financial losses. In most cases there is a three year time limitation to personal injury claims, meaning that anyone who has suffered a personal injury accident has three years from when the accident took place to file the claim. If a claim is not pursued within the three years from when it happened it becomes time barred or statue barred. There are exceptions. If a person is left brain damaged as a result they have a life time to make a claim as there is no time restriction for such an injury. Those who suffer mental health issue have three years from the time they have clinically recovered from their current mental illness. Also it’s important to say that although an accident may take place the consequences of the accident may not surface for some time. In this instance the date of knowledge is accepted as the starting point for the three years. Children who suffer personal injury also have exceptions as the three year limitation does not begin until they turn eighteen. They have until they are 21 years of age to make a personal injury compensation claim.